Remembering when I was 8 years old, I retrieved a book of matches. “You have to be careful because you can easily burn yourself. If you do, it’ll sting for a couple of days.” He nodded and tried to strike the match. On his fourth try and third match, success! As he brought the match to the candle wick he burnt his finger. 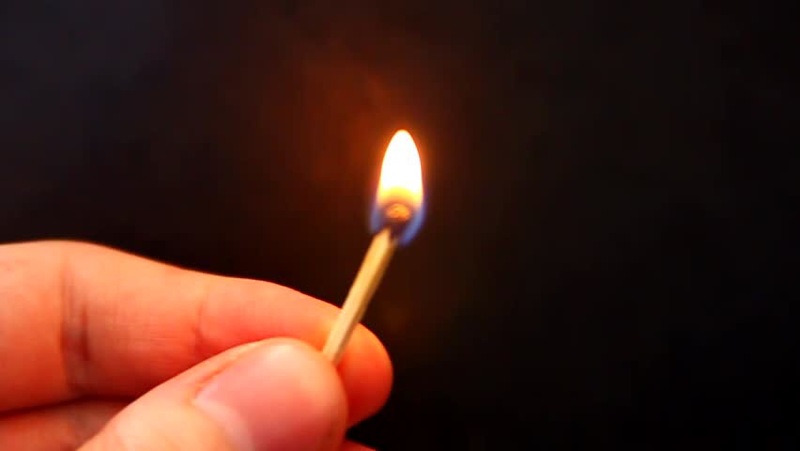 He quickly blew out the match and set it down. A couple of seconds later I heard water running in a sink. I went to investigate what was happening and saw him holding his finger under the water. “Using cold water?” I asked. He nodded. “Let me see your finger.” No mark or redness but I could tell that he wanted to cry. “It’s okay to cry, you know. If something hurts you can cry.” And he did. In his first letter to the Thessalonians Paul wrote to a grieving community of faith, “We would not have you ignorant, brothers and sister, lest you should grieve for your loved ones who have died as those who have no hope…” Paul did not tell the community not to grieve. If something hurts, it’s okay to cry. But our tears are not those of hopelessness for Death cannot have the last word for we who take Jesus seriously. We are an Easter people! “Tears may tarry for the night,” the Psalmist wrote, “but joy comes in the morning.” In your night of tears may you look forward to the morning and see a glimpse of grace. Lord God, sometime life simply hurts. Bless my tears and the tears of those who weep, no matter what the cause. Give us a vision that sees beyond this world of sight and sound so that we can catch glimpses of the eternal. Amen.